A new report from NewVoiceMedia estimates that poor customer service cost U.S. businesses $62 billion in 2015. That's a 50 percent increase from 2013. The short version of what's happening is customer service is getting worse and customers are defecting at a higher rate. The real question is what does this mean to your business? And, what can be done about it? Here are some key findings from the report along with some solutions and resources. You may also download the full report here. A few months ago, I published a list of 13 ways to calculate the cost of customer service. Right at the top of the list was repeat business. Customer churn, retention, turnover, or whatever you want to call it is a big issue. If a customer is doing business with your company and then takes that business to a competitor, you've lost money. NewVoiceMedia cites an 11 percent increase in customers leaving a company due to poor customer service. It's helpful to do the math to see just how big a problem this is in your company. I'll use a service failure example from Adobe Connect. I tried eight times to renew my subscription without success, but finally gave up due to their poor service. Start by calculating your customers' average lifetime value. That's how much the typical customer spends per year multiplied by how many years a customer may reasonably do business with your company. Next, calculate the number of customers you've lost over a given time period. NewVoiceMedia found that customers are getting even less tolerant of poor customer service. The report revealed that 33 percent of customers switched companies more than once in the past year due to poor service. And, 25 - 34 year-olds are 68 percent more likely to switch than the 55+ crowd. In an age of technology, our technology is causing a lot of problems. Self-service isn't easy or it doesn't work. One system doesn't talk to another. Agents don't have access to essential information. We still have to give the phone agent the same account number we just punched into our phone. For Adobe Connect, I tried using self-service to renew my subscription but came up short. Next, I tried chatting with a service rep, but he didn't have access and couldn't help me. I also tried tweeting my issue without success. Both the chat rep and the twitter agent asked me to call. This type of shoddy service drives customers to call your business for issues they'd be perfectly happy solving themselves. The NewVoiceMedia report found that 70 percent of customers thought calling was the quickest way to resolve an issue, but only 58 percent said the phone was their preferred channel. For many companies, the phone is the most expensive channel to serve. So, not only is poor service driving customers away, the customers we do keep are costing us more. To address this issue, I recommend making a list of the top ten reasons that customers call your customer service department. Next, identify ways you can prevent those calls from happening in the first place. Fix the issue that causes people to call. Improve access to self-service on your website. Make your website or app more intuitive. Empower agents serving other channels to do more. Proactively engage customers on known issues. Let's say you're a cable company and your service suddenly goes down in a neighborhood. This would normally trigger a flood of phone calls. You could reduce those calls by emailing affected customers, posting an update on your website (right by your phone number), and sharing the update via social media. There will still be some customers who call. When they do, the 2015 National Rage Study from CCMC found that the number one thing these customers want is to be treated with dignity. This means making sure your agents are trained to work with upset customers and are fully empowered to handle issues. These resources can help you stem the tide of defecting customers. The Effortless Experience is a great book that outlines how to make things easier for your customers to do business with you, and why that's an essential part of customer loyalty. You can revamp your customer service survey or start up a customer listening program to identify reasons customers are unhappy before they leave. Here's a video-based training course that can help you. A customer service assessment can help you take an internal look at your service operation. You can try the self-service starter version or request a consultation for a full in-depth assessment. Finally, give your team phone-specific customer service training to help them prevent customers from leaving. You'll need a Lynda.com account to access the full training video, but you can get a 10-day trial. Customer Care Measurement & Consulting (CCMC) recently released it's 2015 National Customer Rage Study. The study was conducted in partnership with the Center for Services Leadership at Arizona State University and Dialogue Direct. It sought to identify key issues around consumer complaints. In short: what pisses customers off? This post shares a few key highlights from the study. You can also learn more by visiting this resource page on CCMC's website. Even worse, the study found that 63 percent of complainants felt they got nothing when they complained. Companies might worry that customers are becoming too greedy. It turns out that what customers really want is surprisingly cheap. None of these remedies represent an undue cost to the company. In fact, you had to go all the way down to #10 on the list ("My money back" - 57%) to find a desired remedy that cost the company revenue. Smart companies understand that the key to service is avoiding broken promises and attending to their customers' emotional needs. So far, these results tell me that customers want to be treated like humans. They want authentic service, not scripted robo-speak. 50% - Your call is important to us. Please continue to hold. 45% - That's our policy. 45% - We are currently assisting other customers. Your call will be answered in the order in which it was received. 45% - Can I get your account information again? 42% - Please give me top scores on all the questions in the after call survey. You can see a common theme. These phrases all prioritize the company's needs over the customers. They also sound inauthentic. Review your voice of customer data to see what bothers your customers. Fix it. Read The Effortless Experience, a great guide to help you avoid wasting your customers' time. Schedule a Customer Service Assessment to identify actionable improvements. A new study from the contact center consulting firm Strategic Contact outlines the top contact center challenges for 2016. The results appeared in the January issue of Contact Center Pipeline. I've summarized a few highlights here, but the full article is a fascinating read. What really jumped out is how the top challenges are all related to another topic I've been covering in this blog: operations. You can read the other posts in my ongoing series here. The graph above shows the top four contact center challenges that were called out in Strategic Contact's report. Look closely and you'll see all of these issues are interconnected. Addressing them requires a holistic approach. Many contact centers make the mistake of trying to fix attrition by focusing on motivation. They offer their agents games, prizes, and incentives in an effort to make a crappy job seem better. It rarely works. In reality, the average contact center agent becomes increasingly dissatisfied the longer they're on the job. Smart contact centers address the root cause. What contact center agents really want is to find meaning in their work. They want to solve problems and help customers. That leads us to working with other departments. This is key because many of the issues that contact center agents are asked to resolve are out of their control. They must rely on other departments to help make things right. It's important to remember that customer service is only as good as the weakest link in the chain. Most of your customers would rather solve the problem themselves. That means visiting the self-service section of your website. Recently, I wrote about a 2015 Microsoft study that found 57 percent of customers look for self-service before calling. Unfortunately, contact centers usually need to rely on other departments to help them beef up their self-service offers. That brings us right back to cross-departmental collaboration. A contact center service level is defined as the percentage of calls answered within a certain time limit. For example, a contact center might have a service level goal of answering 90 percent of calls within 15 seconds. A vicious cycle of problems can make it hard to achieve service level goals. High attrition leaves contact centers short-staffed, which in turn leads to longer wait times. Poor cross-departmental cooperation allows chronic problems to go unsolved. This generates more contacts, especially when customers aren't able to get self-service. More contacts also drives up wait times, which reduces service levels. Working with other departments is the key to addressing all of these challenges. I reached out to Lori Bocklund, President of Strategic Contact, to ask her what contact center leaders should do. "I have two favorite tactics contact center leaders can use to engage others to tackle the bigger problems. First, invite leaders in other departments to observe contact handling – routinely. It seems simple, a no-brainer, but it doesn’t happen enough. Light bulbs can go off when it does. Second, create a metrics scorecard specifically to communicate impacts and opportunities to other departments, and routinely share it with peers. It doesn’t have to be too “in your face” but it can convey opportunities like reducing volume, handle time, and transfers (and therefore, improving the customer experience – not to mention corporate costs!) if we all work together. It needs to show what happened, and include a little bit of (credible) insight into why. The scorecard becomes a tool to generate productive conversations." You'll solve more chronic problems. Fewer problems means fewer contacts. Fewer contacts leads to better service levels. All of those things make your agents' jobs better. Creating better jobs will help you improve attrition rates. Lori will be conducting several workshops and sessions at ICMI's Contact Center Expo, May 10 - 13 in Long Beach, California. The conference itself features site tours, workshops, keynotes, breakout sessions, and an expo hall. I've attended the past several years and highly recommend it. Here's a registration link. You can save $200 on your registration fee if enter code SPKR at checkout. "Maybe they're just having a bad day." Ugh. I've never liked that explanation for a customer's anger. It feels dismissive while avoiding responsibility. My view was that a customer might be a little upset to begin with, but any emotions they felt were largely our responsibility. Newly discovered research proves me wrong. An upsetting event completely unrelated to your company really does impact service. That customer is more likely to get upset. And, customers with anger baggage are less likely to listen to helpful advice from a customer service rep. Here's the research along with what you can do about it. Scott Wiltermuth and Larissa Tiedens conducted an experiment to test whether anger makes people more judgmental. They first primed people to be angry, sad, or neutral. This was done through a recall exercise where participants were asked to recall an event that made them angry (angry group), sad (sad group), or just think about what they did yesterday (neutral). Participants were then asked to rate how appealing they would find doing a task where they rated business ideas. The result? People in the angry group rated judging others' ideas 16 percent more appealing than average. Put this in a customer service context. Imagine a customer is stuck in traffic on their way to a store. The parking lot is jammed and they nearly get into an accident when a car swerves around them and steals their parking space. The customer is fuming by the time they walk into the store. This customer will be more intently focused on service quality than normal. They'll nitpick minor service issues that most people would overlook. And, because they're already angry, they'll be viewing service through a negative lens. Maurice Schweitzer and Francesca Gino conducted an experiment to learn whether anger affects our openness to ideas from other people. Participants were shown a picture of a person and asked to guess their weight. They were told they'd be paid for the accuracy of their guesses. They were next divided into two groups - neutral and angry. The neutral group was shown a movie clip that showed fish swimming in the ocean. The angry group was shown a movie clip that previous tests showed triggers angry emotions in viewers. After watching the video, participants were shown another person's estimate of the weight of the person in the picture. They were then given a chance to revise their estimate. 68% of the neutral participants considered the other person's estimate. 26% of the angry participants considered the other person's estimate. This data shows that we're much less open to other ideas when we're angry, even if the thing that made us angry is completely unrelated. Let's go back to that hypothetical retail customer who was angry about traffic when they walked into the store. Customer service employees often suggest solutions to help fix a customer's problem. A customer carrying their anger baggage into the store will be less open to those solutions. When that happens, the anger continues and might even escalate. We can't easily prevent our customers from carrying around anger baggage accumulated from other sources. However, we can do a few things to help them feel better and avoid making it worse. Avoid broken promises. These are things we promised to do for customers, but didn't. Customers who are already upset will really be unforgiving when we don't keep our basic agreements. Emotions first, then solutions. Our customers' emotional needs are often overlooked. Don't ignore their emotional state! Take a moment to help an upset customer feel better before jumping to solution mode. Empathize. It's hard to be understanding when a customer gets angry for what seems like no reason. Keep in mind they might be dragging along some anger baggage from somewhere else. Take a moment to empathize with them. You can use these five tips to help you. Finally, you can watch this short video for more information on serving upset customers. There aren't any shortcuts in customer service. Or are there? 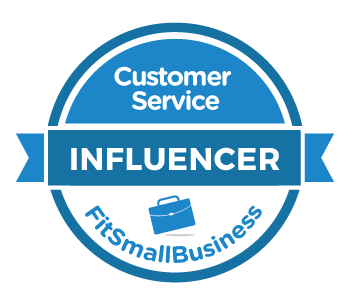 There’s no magic pixie dust that improves customer service quickly and easily. Or is there? Well... It turns out there are a few shortcuts. 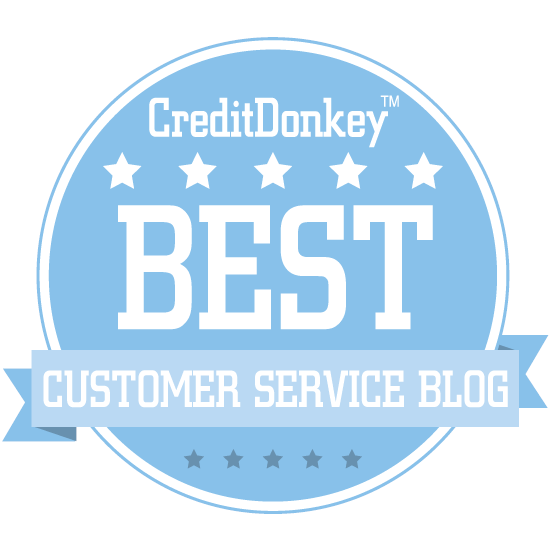 I recently hosted a webinar to share some of my latest customer service research. It focused on five ways companies could quickly take their customer service to the next level with minimal expense or effort. This is a follow-up post with links to additional information and resources. If you asked your employees to describe outstanding customer service, would you get a consistent answer? The answer is "Yes" at companies with a customer-focused culture. They have a shared definition of outstanding customer service that acts as a compass to keep everyone pointed in the same direction. First impressions play an important role in framing a customer’s perceptions of service quality. Good first impressions are neutral and are unlikely to be remembered. Great first impressions create a lasting positive perception. My guest post on the CX Journey Blog describing how multiple experiences influence a customer’s overall perception. We all know that customers hate to wait. They often perceive the wait time is even longer than it really is. Smart companies identify factors that influence wait time perceptions and help customers feel like the wait is actually shorter! #5 Chronic multitasking is frying our brains! I took a poll during the webinar to see what else people were working on in addition to tuning in to me. The average participant admitted to engaging in 5 or more activities while attending the webinar! It’s natural to want to multitask in our busy lives. Unfortunately, a growing body of research suggests this is unproductive and even unhealthy.